No delays. No Nonsense. We make getting a loan easy. Isn't it great how you can go to a car dealership, test drive a few vehicles and pick out the one you want, and drive it home that same day? The MyOwnArizona™ network of experienced Tucson loan lenders will do their best to keep your home buying process running smooth. Your MyOwnArizona™ Tucson lenders will let you know ahead of time what expenses you can expect to encounter and will do their best to solve problems before they start. This way you will feel more comfortable, more in control and will be more active in the outcome. When looking to buy a new home, the first question people ask is "how much home can we buy?" Generally speaking, you can usually qualify for a Tucson loan of two to two-and-a-half times your household's annual income. 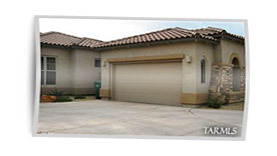 There are many different types of Tucson loans available. Which one you select can also effect how much you qualify for. 1st - Pre-Approved, not Pre-Qualified: When making an offer on a Tucson home you want to have the upper hand in negotiating. Keep in mind that price is not the only issue on the bargaining table. Other concerns, such as the reliability of the buyer to obtain financing or how much time before the buyer is ready to close, are very important to sellers. For this reason, it is important that you get "pre-approved", which is a step further than getting "pre-qualified." Pre-Qualification process is simply giving your best estimate of your financial situation to a MyOwnArizona™ network Tucson loan lender. Pre-Approval process on the other hand, occurs when your MyOwnArizona™ Tucson lender verifies the information. 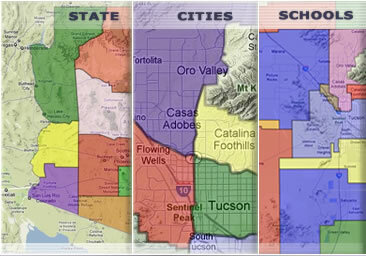 Your MyOwnArizona™ Tucson loan lender will give you certificate or letter to present to the sellers. 2nd - Sell First, Then Buy: If you currently own a home and are looking to buy a new Tucson home, it is strongly recommended that you sell before you buy. If you were to find a home that you absolutely had to have, you would ideally want the seller to reduce the price, combined with waiting to close escrow until after you have sold your home. This makes sellers very wary and they may counter your offer demanding the full price because of the contingency that you have to sell your home. Following that, you may rush to sell your home as quickly as possible, even selling it for less than you could if you weren't in such a hurry. This does not mean you can't start looking for properties, nor does it mean you can't list your current real estate with a MyOwnArizona™ Sales Agent before you have found your dream home. 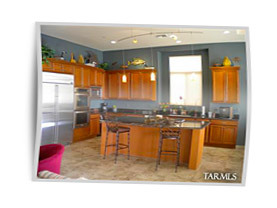 One trick is to make the sale of your home "subject to seller finding suitable housing." When you do find a buyer for your home, you will have time to find a new one. If you don't, then you don't have to sell your home. 3rd - Don't Feel Forced To Settle: Make a list of things you want your new Tucson home to have, and things you don't want. This will help save you time. 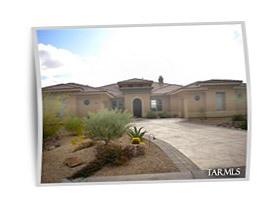 When using a MyOwnArizona™ Tucson Real Estate Agent, be sure that you are seeing the properties that meet those requirements and go over the Multiple Listing MLS printout with them. 4th - Plan For The Unexpected: There are many unexpected things that could come up between the time when the seller accepts your offer and when you close on the home. For example, inspections might point out items that need repairing. Perhaps interest rates change, affecting your required down payment amount and the closing costs you are responsible for. 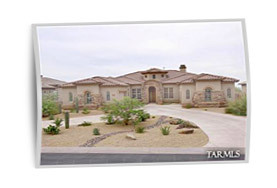 Your MyOwnArizona™ Real Estate Agent and network Tucson lenders services will do their best to avoid and prepare you for such situations to save you some heartache. Lastly - Trust Your MyOwnArizona™ Representation: There is a lot involved in purchasing real estate, and at times you may feel a little "lost" in the process. Remember that your MyOwnArizona™ network lender and your MyOwnArizona™ Tucson Real Estate Agent, represent you and they will do their best to make sure that you are fully satisfied. Be sure to ask questions.